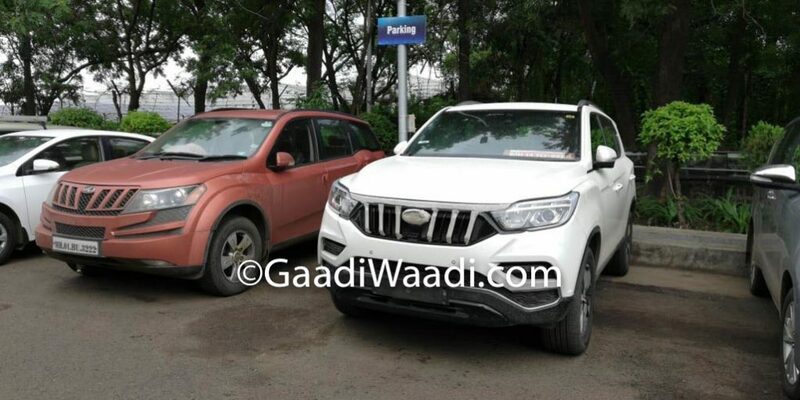 Mahindra is going to launch the much-awaited XUV700 on October 9th in India and it is internally codenamed as Y400. 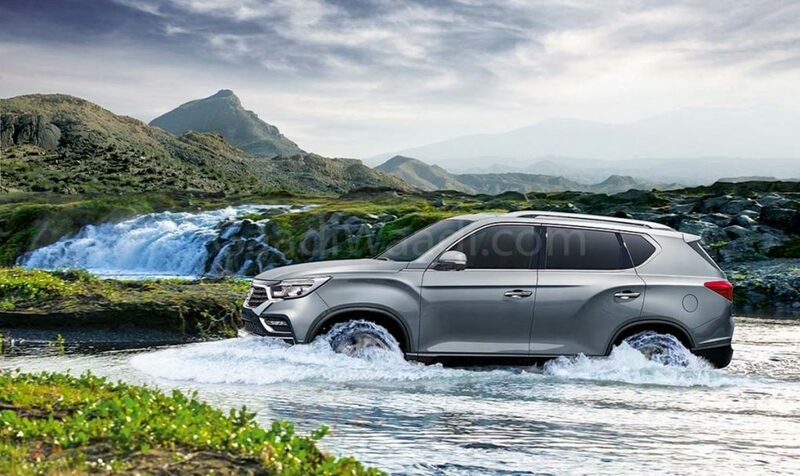 The XUV700 is basically re-badged second generation SsangYong Rexton, but the company has made subtle design changes to make the new model in line with other Mahindra products. The front gets vertically slated chrome grille with Mahindra logo in the middle and followed by big headlamp cluster with projectors and integrated DRLs. The XUV700 also comes with new bumper, which is different compared to International model and lower part of the bumper is finished in black colour. 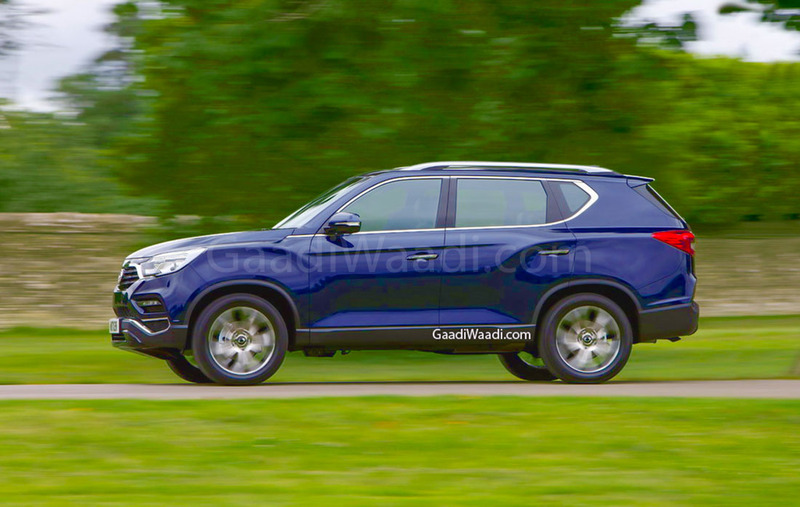 The company has given black plastic cladding running across the body for SUV look along with 17-inch alloy wheels. The XUV700 gets chrome lining on the window for premium appeal and door handles are also finished in chrome. The rear gets LED tail lamps and a chrome line on the top of number plate holder. The XUV700 comes with two reflectors on either side and an integrated spoiler at the rear. The interior is carried over from International model as the SUV gets Nappa leather upholstery. The dashboard is finished in black colour with wood inserts on the middle and brown colour for the seats and door pad. Mahindra has given lots of features for XUV700 like 9-inch touchscreen infotainment system with Android Auto but Apple CarPlay will be introduced later, 7-inch digital instrument cluster, dual zone climate control, cruise control, automatic headlamps, rain sensing wipers, reverse camera with sensors and more. The suspension has been tuned for Indian road conditions and we can expect good ride quality from the SUV. Mahindra XUV700 will be powered by 2.2 L turbocharged diesel engine producing 187 PS of power and 420 Nm of torque. This engine will be mated to a new 7-speed automatic gearbox and a petrol engine will join the lineup later. The XUV700 compete against Ford Endeavour and Toyota Fortuner in India.